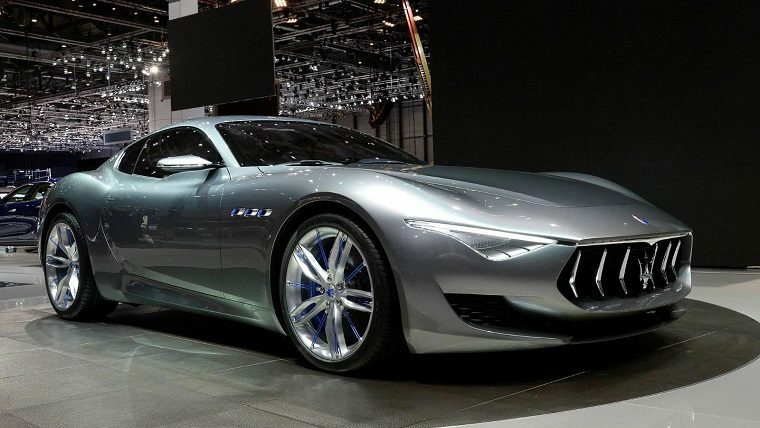 After several delays and more than four years since Maserati unveiled the beautiful Alfieri concept at the 2014 Geneva Motor Show, the automaker has confirmed it is working on bringing the flagship sports car to the streets. Maserati says the Alfieri will be one of four electrified vehicles it intends to offer by 2022, including the Quattroporte, Levante, and Alfieri Cabrio. All of them will feature fully-electric powertrains with three motors and e-AWD, 800-volt battery technology, and torque vectoring. The battery is said to have up to 50 percent better energy density, which would allow the car to have a very long range and fast charging times, though no specifics have been provided yet. According to FCA boss Timothy Kuniskis, both the Alfieri Cabrio and Coupe will be seriously competitive compared to the likes of Tesla, with a zero to 60 mph acceleration time of only two seconds and a top speed of more than 300 kph (186 mph). That’s despite weighing 400 pounds more than the gasoline-powered counterpart that is also planned for production. In addition to the aforementioned all-electric models, Maserati plans to offer plug-in hybrid versions of the Alfieri, Levante, and Quattroporte, as well as of the Ghibli, all of which will be redesigned before 2022. Another new, as of yet unnamed mid-size SUV will also be launched before then. However, Maserati remained keen to remind everyone that it would still continue its exclusive partnership with Ferrari, which supplies the brand with engines. In other words, if you look to Maserati for more than just electric vehicles, have no fear that the brand will continue to deliver.